The office of SACA is presently situated in Gauteng in which the incumbent President is resident. The South African Croquet Association promotes interest in the game of croquet throughout South Africa, promotes, holds and manages tournaments at international and national level. The Association also arranges for the National Titles to be played for, where and when necessary, and renders advice and assistance to affiliated associations and clubs when required. At the SACA AGM held on 16th November, 2017 Les Weiss stood down as President and Paul McCreadie also stood down as Vice-President. The following were elected: President: Mike Moore Vice-President: Judith Hanekom Member: Noeline Kirsten Member: Lebo Senokwane Member: Richard Prosser The provincial association representatives are: Gauteng: Henry Watermeyer Eastern Cape: Pat Erskine KZN: Tim Lewin Western Cape: Barry Wiesner Duncan Miller has kindly agreed to take on role of Treasurer and Susan Crole remains as the co-opted Secretary. Mike Moore Mike comes out of the IT and Advertising industries and settled in the Cape in 2015 where he plays croquet for Somerset West and Greyton. In the two years in which he has played regular croquet he has participated in both the Nationals and Western Cape championships held in 2016 and 2017 during which time his handicap dropped from 8 to 2. He was elected President of the Western Cape Croquet Association (WCCA) in July 2017 and later to the South African Croquet Association (SACA) at the AGM held during the Nationals in November 2017. Mike enjoys the game as well as linking up with the type of people that croquet seems to attract country wide. He believes in utilising the skills and knowledge of experienced croquet players nationally to efficiently expand and improve the sport in South Africa. 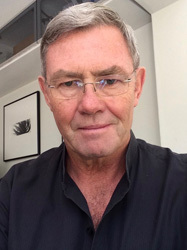 Les Weiss 2016 – 2017 Les is a Chartered Accountant who spent most of his working life working in a variety of large corporations. He currently runs a business offering Leadership Development programmes. 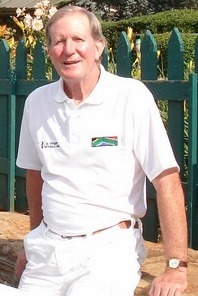 Les started playing croquet in 2010 and has been a regular participant at tournaments all over South Africa. Chris Wakeham 2011 – 2016 Chris Wakeham started playing croquet at Country Club Johannesburg in 2003 under the guidance of Chris Bennett. He played mainly Association Croquet and was starting to improve when he suffered a back injury in 2005 and was unable to play for the next couple of years. Since starting again he has played both Golf and Association Croquet and now has handicaps of 2 & 4 respectively. He was runner-up in the Open Singles Golf Croquet 2010 Highlander Tournament and also came second in the Gauteng Open Door in 2010. He won the B Restricted Level Advanced Association Open Singles event at the 2010 Nationals in Johannesburg. Ellis Langeveld 2008 – 2010 (1932-02-19 – 2010-10-30) Ellis was a keen croquet player at Somerset West Croquet Club for over a decade. After taking a leading role in the Management Committee developing the fourth court, he became Chairman in 2006 & in this position hosted some of the World Championship matches in March 2008. 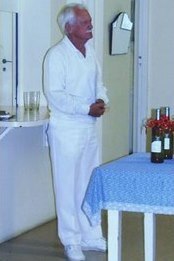 In November 2008 he was elected President of the South African Croquet Association and filled this esteemed position until his passing in November 2010. Ellis was one of South Africa’s top ranking Croquet players. He was a consistent, astute and strong player particularly in Golf Croquet and he held a World Ranking of 178 as the result of his participation in National, Provincial & Club competitions. He was a relative newcomer to Association Croquet which is a more complex game, but he mastered the techniques and strategy of this Croquet discipline. Ellis was very much involved in the development & promotion of croquet locally and nationally. 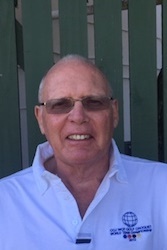 As President of the SA Croquet Association he built up reciprocal connections with Croquet players around the World & welcomed many overseas visitors to the scenic & excellent playing facilities at the Somerset West Croquet Club. He was extremely well versed in all the Universal rules and regulations of Croquet and was one of South Africa’s Golf Croquet referees. During the last 2 years he encouraged local schools to play croquet and the game is already a sport on the curriculum of Somerset College Preparatory School. Ellis was always available to coach interested visitors, particularly a group from Macassar who attended one of the club’s regular Open Days. He was proud to be awarded the Department of Cultural Affairs & Sport Western Province 2010 Lifetime Achiever Sport Award which was presented posthumously. This was a first for the sport of Croquet and for Ellis personally.